Megyn Kelly net worth and salary: Megyn Kelly is a television host and political commentator who has a net worth of $30 million dollars. Megyn Kelly was born in Syracuse, New York in November 1970. She hosted The Kelly File on the Fox News Channel from 2013 to 2017. Kelly earned her Juris Doctor from Albany Law School and was an associate editor of the Albany Law Review. She previously went by the name Megyn Kendall from her former marriage. She worked as an associate at a law firm in Chicago and then worked for Jones Day as an attorney for Experian. She was hired by an ABC News affiliate in Washington, D.C. and was a general assignment reporter. She covered the 2004 presidential election as well as the Beltway sniper attacks. Kelly joined Fox in 2004 and worked as a general assignment reporter in D.C. For Fox she provided coverage of Supreme Court Justice Samuel A. Alito, Jr. and Chief Justice John G. Roberts’ confirmation hearings. She contributed segments for Special Report with Brit Hume, Weekend Live, The O’Reilly Factor, and On the Record. She started hosting the show America Live in 2010 and helped viewership to the show increase by 20%. She received attention covering the 2012 United States presidential election. She left America Live in 2013 for maternity leave and started hosting The Kelly File. She married Douglas Brunt in 2008 and the couple has three children. After leaving Fox she briefly hosted the TV series Sunday Night with Megyn Kelly in 2017 after joining NBC News. 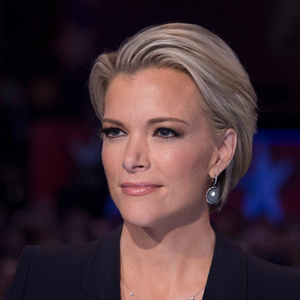 Kelly then went on to host Megyn Kelly Today starting in 2017 and serve as a host for the series Today beginning in 2016. In 2014 she was named one of Time’s 100 most influential people. She authored the book Settle for More in 2016 and signed with HarperCollins for more than $10 million. When Megyn was at Fox News, her peak annual salary was $8 million. In 2017 she moved to NBC with a three-year contract worth $69 million. That meant her NBC salary was $23 million per year. On October 25, 2018 Megyn was fired from NBC in the wake of controversial comments she made on her show about blackface. She attempted to put the fire out with an apology but it wasn’t enough. She was subsequently fired from NBC and dropped by her talent agency CAA.